With the GCSE examinations looming, as a school we want to do all we can to support our hardworking students to ensure that they maximise their chances of success at this crucial time. With that in mind we are looking to facilitate 7 Study Saturday sessions in the school’s Learning Resource Centre between 10:00 am and 2:00 pm each Saturday commencing on Saturday 27th April. Students are not required to attend for the full four hours and can arrive and leave when is convenient for them. 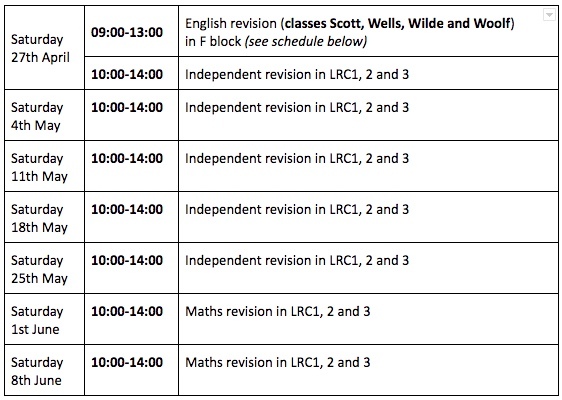 On Saturday 1st June and Saturday 8th June special maths revision sessions will run from 10:00 am until 1:00 pm within the LRC to help students prepare for two of their maths GCSE exams on Thursday 6th June and Tuesday 11th June. For the remaining Study Saturdays from Saturday 4th May through to Saturday 25th May the sessions will run as independent revision in the LRC from 10:00-14:00. 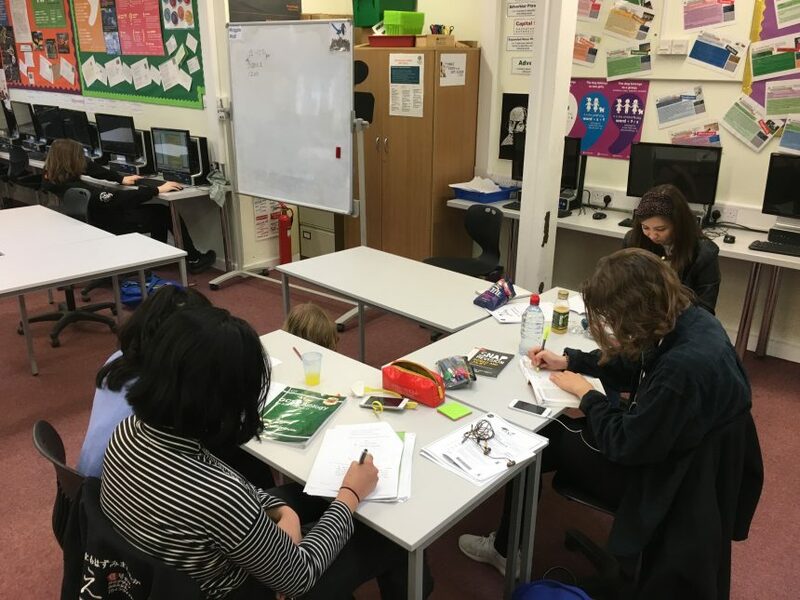 These supervised Study Saturday Sessions aim to facilitate general revision and have been very successful in previous years in raising achievement. Practice exam papers will also be available for students to complete. As an incentive, for every Study Saturday session students attend they will earn two stickers on their Prom cards that, if completed, will mean a 50% discount on a Prom ticket or a £15 InTu Watford voucher. I do hope that your son or daughter will consider attending these sessions to help them prepare for the upcoming examinations.